HUGE news guys. I mean BIG. I, along with a few others (whoever I’m doing a test for), have been wrastling with getting a good mobile usability testing setup going for – I am not exaggerating when I say this– years. It has only been two years, but that still allows for the plural, even though it makes it sound much longer. It has felt longer so I feel justified in using it. We have been fighting with old computers, a slow network and meeting rooms spread very far apart from each other. So all the Googling and experimenting I’ve done with other peoples’ set ups just weren’t quite hitting the mark. We were on the verge of having three computers in one room and two in the next and it was just a mess. All of our setups were so sketchy they sometimes didn’t work the next time for some odd reason. Some of them took a lot of post-production magic. It was just a waste of time and a headache. But, I finally got it and I am ecstatic. It still could be a little better, but from where we’ve been, it is just pretty damn dreamy. I have to say it. I may want to say it one more time – it is so dreamy. So, in case this post makes it out to the rest of the world, and helps one person out there who has slow resources to work with and not a huge budget here’s what I got. It requires a windows laptop, a second laptop (doesn’t matter what kind) two cameras, a DIY sled (or this one. I haven’t done this one but it uses the Hue as well. I combined the two so I could have the stability of the sled and the flexibility of the Hue arm) and Camtasia. Camtasia isn’t free, but if your boss loves you at all and has any concern for testing they’ll buy it. If your boss hates you but you love yourself, buy it. 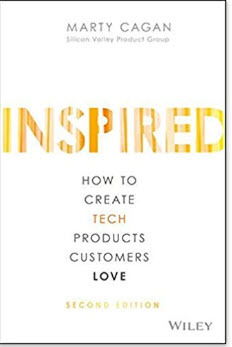 If you hate yourself but love UX, buy it. I tried to avoid this purchase for a long time and it’s a major contributor to the problems I had. Start a free GoTo Meeting first and block the camera and mic. If you do this after your setup it will interfere with the cameras. They will freeze or not register and you’ll need to start over. Don’t use join.me. It’s has more lag than GoToMeeting and freezes. Plug the mobile camera in to the other port. Set Camtasia’s recording area to match the movie maker screen. In Camtasia, set the microphone to the phone camera. In Camtasia, hit record and hover the mouse over the webcam preview before it starts to actually record so it stays up during recording. It will cut the bottom off a little but leave it up. I have to do it in just about this order or the cameras start to clash and programs don’t recognize them. It may be worth it to get two different cameras but I’m not certain that would change anything. It might just be two cameras in one laptop that’s the problem. Adjust the position and zoom through CSS if you want to take some of the gray off the screen and make the important part even bigger. The Hue has a shallow depth of field which means some of the phone is probably going to be blurry and some of it sharp. It also takes a lot of focus adjusting and the users move it even though you tell them not to, but overall it’s pretty good. You can also buy better sleds if you want. I tried to make this as cheap as possible and the plastic sled I linked to is pretty good. I heated the plastic over a toaster (not in, guys. Not in.) It only took a few minutes and probably would have been faster if I didn’t have to explain to the maintenance guy why I was looking so suspicious. The camera sled combo can be a little awkward but I don’t think it’s awful. My coworkers yell about it more than the participants but they’re developers so their opinions are magnified about ten times that of the average human. The display for the observers isn’t beautiful, but they can see the user’s face AND the phone easily without a second laptop so they can deal with the less than gorgeous screen. So there’s my story. I’m testing next week and I am so excited to use this setup for the day. Hopefully it helps you, too. Guys, I am attending Nielsen Norman Group’s Usability Week in Chicago at this very moment. I spent the first half learning from none other than Mr. Bruce Tognazzini himself about Human Computer Interaction. I am also taking a course that covers intranet design. I am building so many intranet sites right now it’s just silly. Friday will wrap up nicely with usability testing. I have a lot of experience with usability testing already, but I have always wanted to take this course because I feel like there’s always room for improvement. Kara Pernice is teaching my last two classes. Two weeks ago I was in a meeting with some business partners who had strong feelings about a site I was redesigning for them. Unfortunately, their strong feelings centred around the website they knew rather than the website they needed. I used the F pattern as one point to help educate the room about good web design. Kara Pernice was in the group who discovered that method of reading! Needless to say, I was a little star struck in the nerdiest of ways as I listened to her presentations. And in case you were wondering: Yes, I did get the partners to accept my design (Thanks, Kara!). If you ever get the chance to continue your UX education with Nielsen Norman Group, go for it. You’ll be happy you did. And who knows, maybe I’ll see you there! 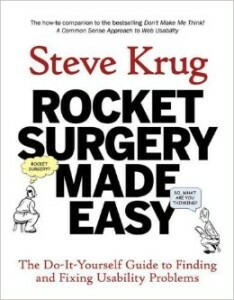 I finished reading Rocket Surgery Made Easy by Steve Krug a few weeks ago. As I closed the book I started thinking about when I read his first book, Don’t Make Me Think. It had been so long I couldn’t remember a big takeaway from it. Which made me decide that I need to actively think about the most important lesson I learn as I’m finishing these books. I just read them, close them and remember what I remember. But I don’t stop to critically think about them and go beyond the things that stick in immediately. I need to apply them to something I’m working on so they actually make me better at what I do. So, what did I get from this book? If it’s only one thing, what did I get? I have to start tweaking my way to a great app rather than pushing the whole project right on through. Pushing a project right on through does not work. It does not work. It just doesn’t. Maybe in the places that full on embrace UX and give it the time it needs to work in all its glory. But I haven’t found one of those places yet. (If you’re one of those places take a look at my portfolio and feel free to get in touch. I think we could be very happy together). But, lets get to my story and explain how Mr. Krug has had an affect on yet another UX professional. I had never been accused of being a perfectionist until I got into this line of work. But lo, during my first big project it reared its ugly head. Just out there in the open: ‘Brooke is a perfectionist’. All of a sudden my nice cute little ‘attention to detail’ had taken an ugly turn and morphed into a giant monster that followed me. It feasted on my suggestions and kept them from reaching the light of production. I was defeated. Heartbroken. I had tested and tested this project. Looked at it forward and backward and fought for my users. But in the end I lost. This ugly beast of perfection had reared its head and everyone in my company ran from me and this unfortunate new friend of mine in fear. Abandoning what could have been a great product. Why had they asked me to focus on the user if they didn’t actually want it? That’s probably a question for another day. So, as I said, a few weeks ago I’m wrapping up Steve’s book and he gave me the freedom to tweak. Now all of these suggestions the stupid perfectionist beast ate don’t seem so lost. Steve gave me permission to push for them in the day two release and maybe not feel like such a failure to the users. The changes that are going out are still quite an improvement on the current product and while it’s not quite perfect, it’s a step in the right direction. I haven’t gotten a firm commitment as to when day two development will start, but it’s coming. I’ll make sure of it. Thanks, Steve – on behalf of my users and myself. They enjoyed the cute image and the explanation that went with it. It was a great introduction. 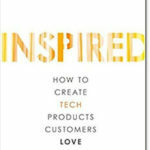 But I wanted to really get the importance of hearing from the user across and I wasn’t sure that this did it. So, I came up with what I think is a pretty good analogy. I decided that I would tell the client that the user is like the Vice President of his company. I told the client that he is the president, so what he says ultimately goes, but the user is the second most important person and her opinion should have a lot of weight. I explained that the client needs to set aside money in the budget to pay the VP so she comes to work every day. I let him know that my role is to assist the VP and relay what she’s thinking and what she wants to the team. But more importantly, I need to get the team to know what she wants before she knows she wants it so we all have a job and don’t get fired. It seemed to work. I think I’ll use it again.